Rely on our exclusive real estate program with a solid foundation. We cover risks for the following services: Residential or Commercial Sales, Broker Price Opinions, Property Management, Leasing, Appraisal, Mortgage Brokering and Escrow. 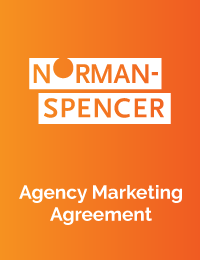 Norman-Spencer protects your brokerage from potential financial loss due to alleged mistakes by your organization or agents. We provide intuitive coverage and service that know the challenges of your profession like you know the neighborhood.